California (March 21, 2007) – AsomBroso™: A relatively new producer of fine tequila made an impressive showing at the 2007 San Francisco World Spirits Competition. AsomBroso’s Añejo Extra Aged Tequila and Silver Tequila were both awarded a Double Gold Medal. 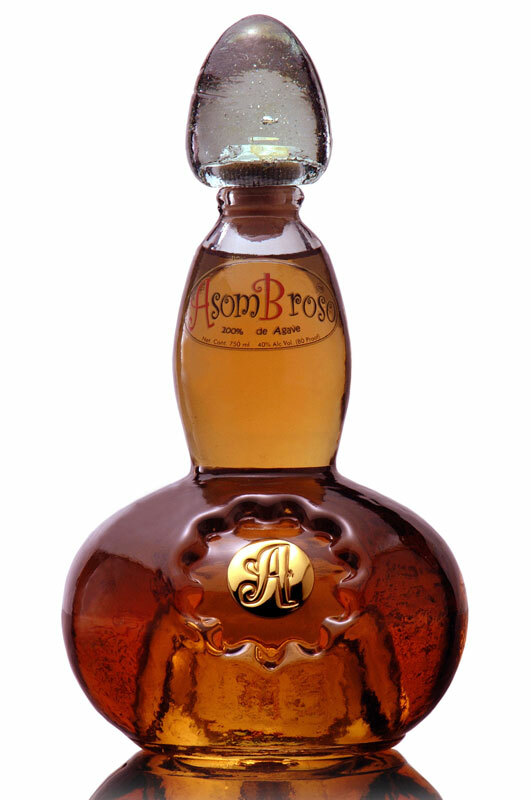 AsomBroso’s unique Reposado Tequila was awarded a Gold Medal. The San Francisco World Spirits Competition, which was held on March 18th and 19th at the Mandarin Oriental Hotel in San Francisco is the first comprehensive, international spirits judging held in the United States on an annual basis. “To be awarded these medals is truly a great honor for AsomBroso and is an affirmation of our passion for fine tequila, especially given the class of the field and the nature of the judging”, exclaimed Ricardo Gamarra, Founder of AsomBroso tequila. Two things separate AsomBroso™ from the rest of the tequila on the market. The first is the old-world approach to its preparation, which not only calls for the multiple distillation and special filtration of the juice of the properly selected, baked and aged agave, but also, in the case of Anejo, requires a five-year maturation term in special French Oak barrels, which gives AsomBroso™ Anejo its distinctive taste and aromatic profile. The second is its distinctive packaging. Patterned after a decanter found in an 18th Century European castle, each AsomBroso™ bottle is hand-blown and numbered, and the Anejo is also available in a cedar lined humidor box. The AsomBroso™ line of ultra premium tequila is available at select restaurants, bars and retailers throughout California and will soon be available in forty states. With his philosophy of quality in lieu of quantity, Ricardo Gamarra has strategically positioned AsomBroso™ as the tequila of choice among discriminating consumers.